STAY MOTIVATED TO SUCCEED— Joining your Kingsport Chamber gives you access to valuable tools, strategic connections, and relevant resources necessary to promote, recognize, support, and expand your business, non-profit, or organization. You just have to take the first step, then STAY! Building prominent professional relationships with your peers in our Kingsport business community is key. 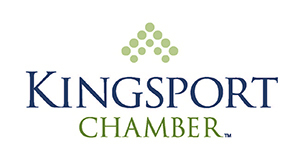 Whether it’s the Annual Dinner, a Ribbon Cutting, 4th Friday Breakfast or Business After Hours, your Kingsport Chamber hosts more than 150 events each year geared toward connecting you with other business and civic leaders, building your pool of local resources, increasing your visibility, and encouraging “word of mouth” marketing. Building & maintaining a prominent brand is crucial to success in this age of information overload. Your Kingsport Chamber membership is one of the most cost effective marketing tools available, providing FREEand low cost promotional opportunities that help get the word out to the right crowd about what’s going on in your business. Informed business owners are often successful business owners. Your Kingsport Chamber keeps you “in the know” with the most up-to-date business and community information. Did you know that when consumers know your business is a member of your local chamber, they are 80 percent more likely to do business with you in the future? Kingsport Chamber members receive a membership plaque, membership window decal, and proud member e-plaque to display at their place of business and online. Association with your Kingsport Chamber enhances your brand and credibility among consumers, adding to your bottom line. Starting, running and growing a profitable business calls for continuous professional development and a multitude of resources. Your Kingsport Chamber offers a variety of FREE or low cost services, sessions, and resources aimed at expanding knowledge, improving skills, and providing support, which allows your business to remain at the forefront of today’s economy. In our growing community, things are regularly and rapidly changing. Your Kingsport Chamber provides countless professional and personal development opportunities to ensure that you, your staff, and your family are always one step ahead. Our Kingsport community and the businesses within it are the ONLY reason your Kingsport Chamber operates. Your Kingsport Chamber offers multiple avenues to give back, partnering with various programs specifically focused on enhancing overall quality of life.